I have to confess that I was against stripes in any kind of clothing, but now I like them more and more every time. 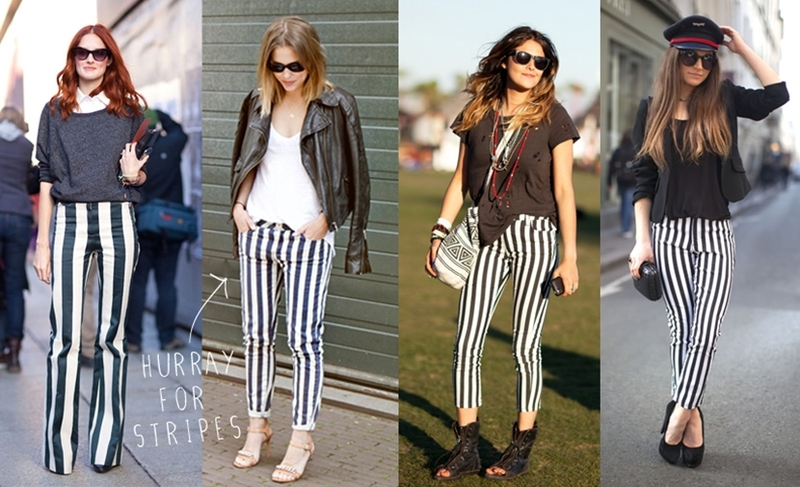 I just ordered a pair of striped jeans a couple of days ago and I just can't wait to wear them! The thing about this trend is the rock and roll chique look that it gives to you and they also elongates your legs! GOOD THING. ¡Me encantan! Tengo un vestido de rayas hasta el suelo que viendo esas fotos me acaba de recordar que lo tengo que estrenar ya jaja A pesar de que este año apunta más el estampado de flores..
love stripes too, do u like follow each other, I would love to. Love this trousers, Zara have a similar pair, in red and white, an I really love it too, I have to try it! !